Cycling For All is aiming to be a decentralised campaign which seeks cycling for all ages and abilities across Ireland. Ireland needs to unlock the current suppressed potential for cycling — transport, health, and environmental benefits, and also more wide-ranging positives of mass cycling. These wider benefits include giving teenagers and parents freedom from the parent taxi; freeing many people across the country from the restrictive options of driving or depending on infrequent public transport; and supporting “last mile” trips to high-quality public transport. 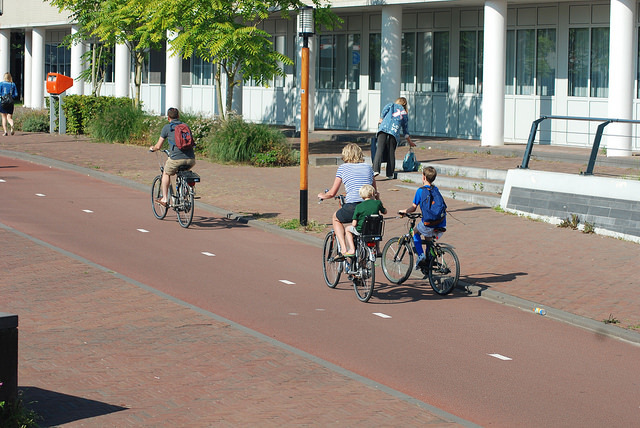 For this, Ireland needs to follow the cycling and general street designs and planning processes of the Netherlands, where walking and cycling are attractive, enjoyable and safe for everybody from young children to retirees and everybody in-between; and where the infrastructure also accommodates wheelchair users and other mobility devices. Ireland has for too long tried — and continues to this day to try — to adapt a strange mix of Irish, UK and continental designs. It is a waste of resources and endangers people walking and cycling — it needs to stop. As explained in more detail below, the evidence shows that Ireland needs to adopt the cycling toolkit, standards and quality used by the Dutch. 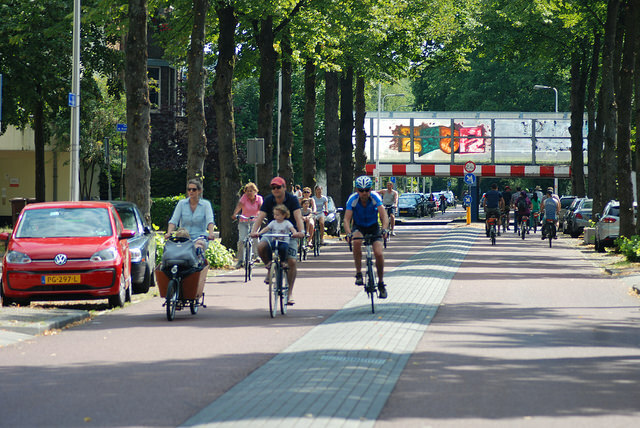 Unlike the more basic Danish cycle tracks which work mainly on the wide streets of Copenhagen, the Dutch system is more adaptive, wide ranging in application and its results are proven in enabling children and adults to cycle or be cycled everywhere from busy cities and towns to rural areas. However, people signing up to Cycling For All must also realise that it will be an uphill struggle to change our current system — it is possible to change the system but it will require on-going effort, not just signing up at leaving it at that. This is normal where people what to effect change in any area of life and even the Dutch continue to debate over who gets priority and space in their public areas. While this campaign is aimed to be decentralised, we ask that everyone pushing the goals of the campaign tries to be non-partisan, stays civil, and try to be understanding of those with different views.